I know this is a Latin food blog, but for those of you who know me, know that I am a baker at heart. 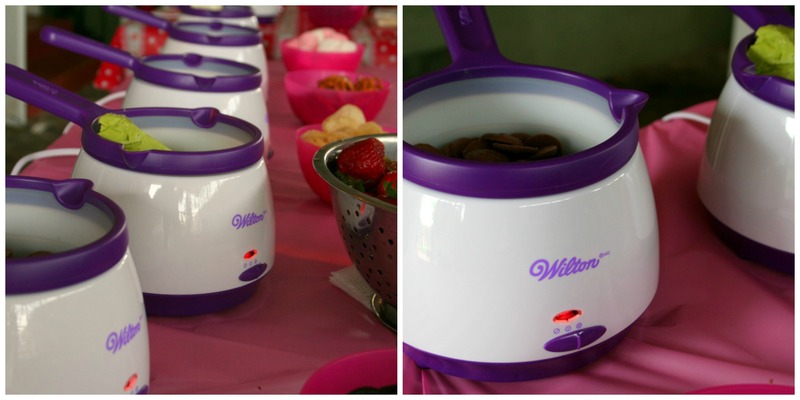 I was over the moon to join a group of bloggers for a Wilton Candy Melts Dip & Drizzle Party. Wilton has been around for 85 years to help bake and decorate cakes, cupcakes, cookies, and more. Wilton has been with me since culinary school. I went through rolls of parchment paper, dozens of piping bags and countless piping tips trying to perfect techniques with dollar store hair gel. With their awesome candy melts I can easily craft treats. 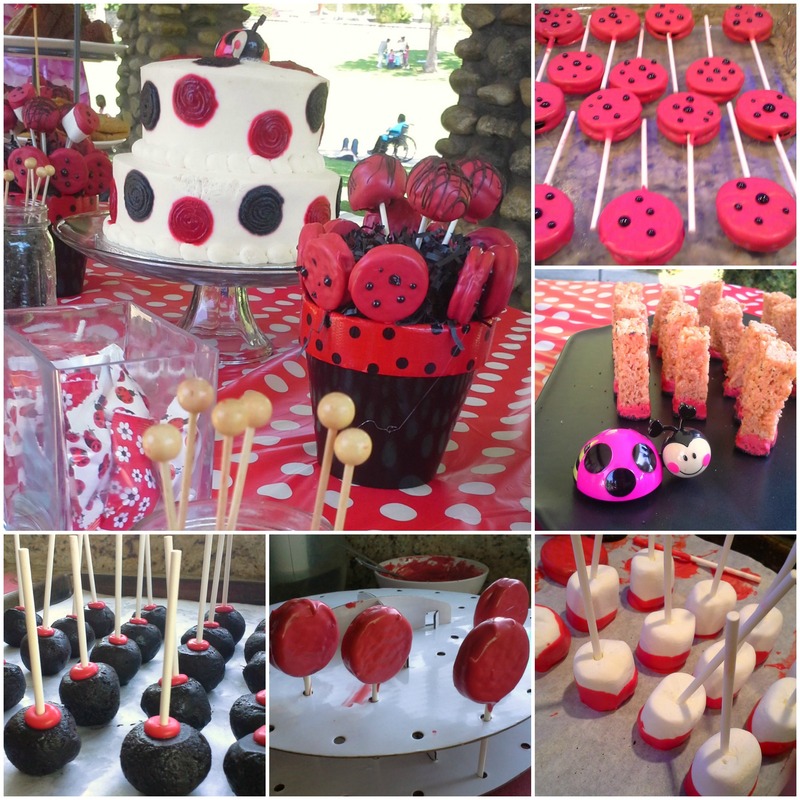 Recently I hosted a small baby shower for my cousin Dominique, and dipped and drizzled my way to a fabulous lady bug themed dessert table: cake pops, cookie pops, marshmallow pops and rice crispy treats, all dipped and/or drizzled with red candy melts. Lots and lots of red candy melts…but I digress. At this Wilton party, I dipped marshmallows, cookies, lady fingers and pretzels, then I drizzled. It might have been the heat, because next I was drizzling the new caramel apple melts (a limited edition flavor) all over my chicken salad croissant sandwich. Once I ditched the chicken salad, the caramel apple croissant was my favorite drizzled treat. 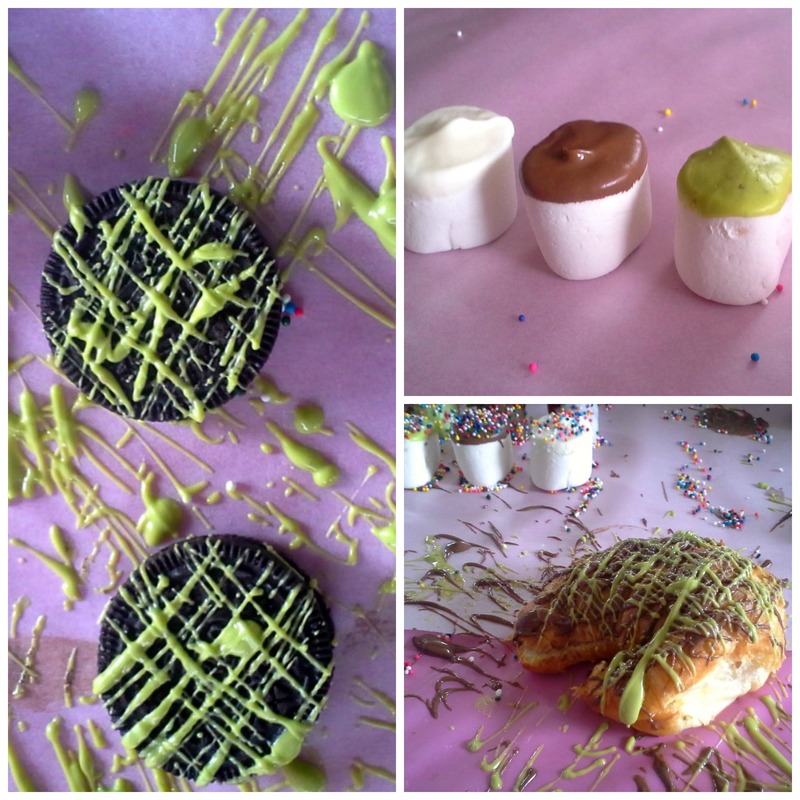 Take a look at my dipped and drizzled creations. I mentioned the limited edition caramel apple candy melts, but they also have limited edition coconut candy melts right now! Also, the trick to wonderfully dipped & drizzled treats is having the right tools, like the Wilton Candy Melts Dipping Tools, and the Dipping Net is a lifesaver! 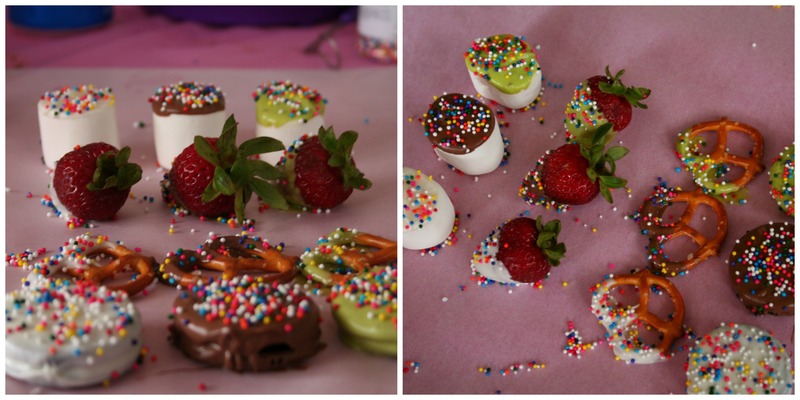 So simple to use, candy melts are pure genius, why didn’t I think of that? I am David, and i work for GLAM en Espanol. We are a hispanic network that works with the latino community using spanish language and main. The reason i write to you is because we really like your webpage and we would love to see your articles in spanish. We offer paid ad placements and remunerated custom campaigns.